was first proposed in 1837 but was not authorised by an Act of Parliament until 1844. The broad gauge line and viaduct at Ivybridge was opened on 5th May 1848 as part of the Totnes to Laira (Plymouth) line. This line consisted of the last extension of the Great Western Railway from Bristol to Plymouth. To celebrate the opening of the South Devon Line, a special train carrying invited guests, many connected with its construction, left Laira near Plymouth on the morning of 5 May. The train consisted of one first class carriage, two second class and two third class and was drawn by two engines, named Pisces and Cancer. Shortly after leaving Laira the journey took in the grounds of the Earl of Morley at Saltram and Colebrook Station at Plympton before continuing through open countryside. Entering a deep cutting at Ivybridge, the train passed the yet to be completed railway station. From there the track crossed the Exeter to Plymouth turnpike road via a skew bridge near Bittaford and then on to the 800-yard Marley tunnel through the grounds of Lady Carew. 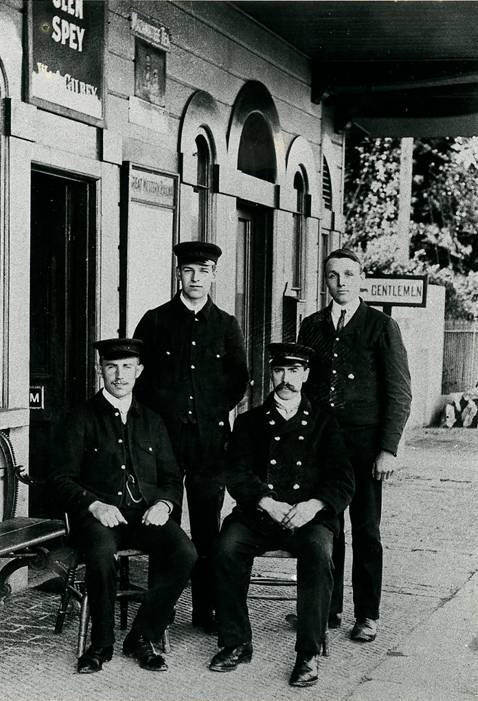 After an “exceedingly pleasant trip”, passengers alighted the train at Totnes just 42 minutes later. At Totnes everyone enjoyed a breakfast at the Seven Stars and Seymour Hotels before re-boarding the train which was decked in flags and evergreens for the return journey. Arriving back to Plymouth the guests were met and transported to the Royal Hotel for a déjeûner á la fourchette and the prosperity of the South Devon Railway was toasted. Built as a broad gauge railway, the line was converted for standard use in 1892 following a merger between South Devon Railway and Great Western Railway on 1st February 1876. The line originally had just a single track but was doubled to the west on 11 June 1893 and from the far side of the viaduct to the east on 13 August 1893. Early trains were hauled by contractors’ locomotives belonging to Green’s of Newton Abbott. On Thursday night, while a number of men were clearing the line at Ivybridge, Devon, and were getting a disabled engine in position for hoisting on to the metals, a relief train from Plymouth came up at a rate of 25 miles an hour and crashed through a stationary carriage in to the disabled engine. Several men were injured and for some time buried in the snow. A Plymouth man was taken out dead and the lives of others are despaired of. Mr Storey (Superintendent Engineer Locomotives) was badly injured and had to be removed to the South Devon Hospital at Plymouth. A perk of being a shareholder in the Great Western railway was that you could request the train to stop at your local station. 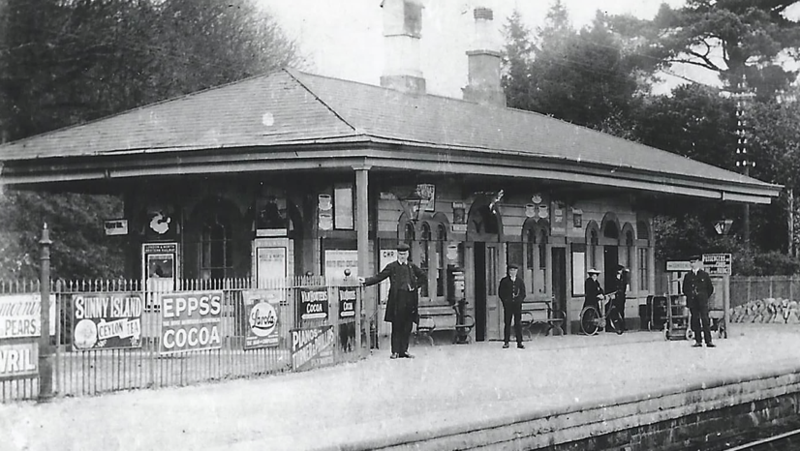 The owners of the mill were in this position and often travelled on The Cornish Riviera from London and alighted at Ivybridge Station, an unscheduled stop. was opened on 15th June 1848. The building was situated on the north side of the track, immediately to the west of Ivybridge Viaduct. The main station building was a chalet-style structure with round-headed windows and an overhanging roof. Access to the platforms was along aptly named Station Road or via steeply inclined steps located close to the viaduct. From the platform, travellers enjoyed an almost panoramic view of Ivybridge. Rail travel was affordable for everyone and was a popular means of travel with first, second and third class carriages. In 1844 the Railway Regulation Act stipulated that passengers in third class must be sheltered from the elements and be provided with seats. At random intervals Ivybridge was visited by trains known as ‘farm specials’ – effectively farms on the move – with livestock, fodder, machinery, working horses, the farmer and his family and the farm hands all moving from one part of the country to another, following the farm sales. Regular stops for milking, feeding, watering and mucking out were all planned. Other special trains called at Ivybridge to pick up supplies of the specialist paper produced at Stowford Mill. The goods shed at the station was replaced on 1 October 1911 by a new facility further west, which survived in commercial use despite the passenger service being withdrawn on 2nd March 1959. A signal box was situated on the south side of the line between the station and the goods yard from 1895 until 1973. The railway was handed over to British Railways (Western Region) at midnight on New Year’s Eve 1947. The goods station finally closed on 29th November 1965, a casualty of the Beeching Act. A replacement station was opened a mile away on the east side of the viaduct on 15 July 1994. The British Pathe film follows the delivery of a postcard to a family living at Pound Farm in Ivybridge. In 1947 Pound Farm was let to Percy Lawrence Ford on a yearly Michaelmas tenancy from Highlands Estate. The children in the film appear to be twins called Dorothy and Donald Ford. Their mother was a Miss Yeoman before she married Percy Ford and William Yeoman was at the farm in 1930. The twins were born at the end of 1932. Richard Wingett had the farm in 1902 and Mrs Ann Wills in 1897. A Shoemaker in Fore Street was called Ford in 1902. The South Devon Railway was first proposed in 1837 but was not authorised by an Act of Parliament until 1844. The broad gauge line and viaduct at Ivybridge was opened on 5th May 1848 as part of the Totnes to Laira (Plymouth) line. This line consisted of the last extension of the Great Western Railway from Bristol to Plymouth. 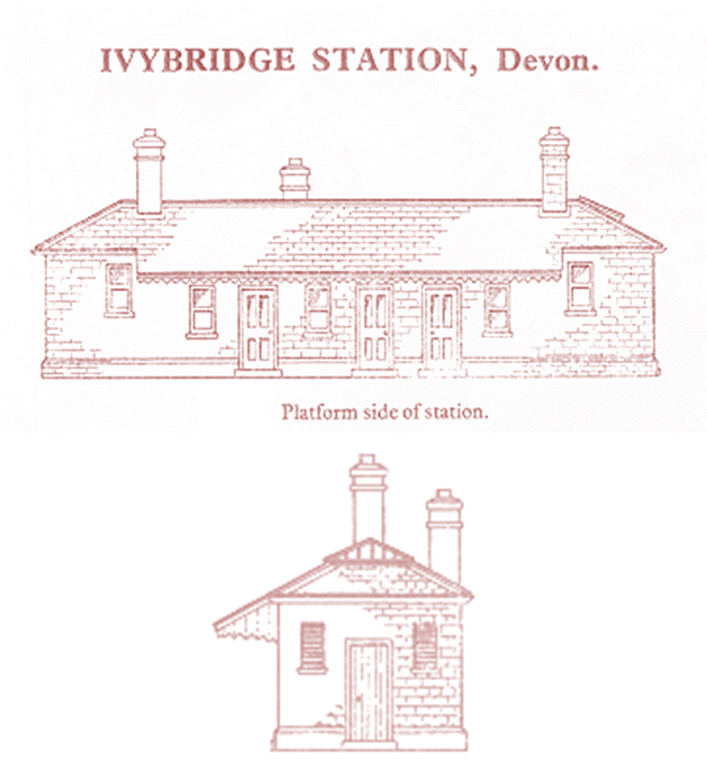 The station at Ivybridge was opened on 15th June 1848. The building was situated on the north side of the track, immediately to the west of Ivybridge Viaduct. Apart from the normal passenger trains a number of more unusual trains passed through Ivybridge. On the morning of 9th May 1904 the ‘City of Truro’ became the first steam locomotive to exceed 100 mph. At random intervals Ivybridge was also visited by trains known as ‘farm specials’ – effectively farms on the move – with livestock, fodder, machinery, working horses, the farmer and his family and the farm hands all moving from one part of the country to another, following the farm sales. Regular stops for milking, feeding, watering and mucking out were all planned. Other special trains called at Ivybridge to pick up supplies of the specialist paper produced at Stowford Mill.